For the most part, there’s not much we can do to control the allergens and wider environment outside. However, we can control what’s inside our home and today we have some simple yet effective tips for reducing indoor allergens both now and long into the future. First and foremost, we should note that the most common allergens you might experience in your home include pet dander, food, cockroaches, mold, dust, and dust mite droppings. For the people inside your home, this can lead to allergic reactions, eczema flare-ups, and asthma spells. Therefore, prevention will always be better than the cure and you should be looking to remove these indoor allergens before doing anything else. At first, this might seem like mission impossible because your home is a large place to cover all in one sitting. For this reason, today we’re concentrating on the most common hiding places for indoor allergens. 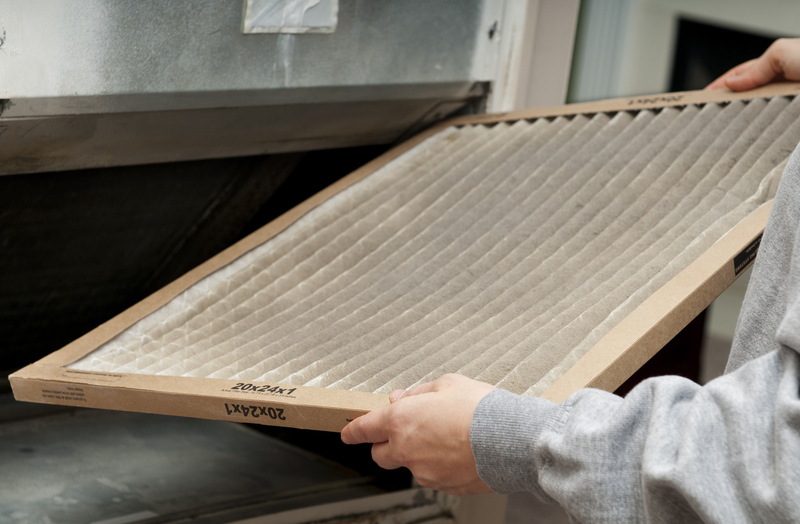 By targeting the allergens at their source, you can keep issues to a minimum and breathe freely in your own home. As a starting point, you should be aiming for the cleanest possible air and this comes from some form of indoor air cleaner such as a High Efficiency Particulate Arresting (HEPA) air purifier. By recycling the air and capturing allergen particles, your home can be free from dust mite debris and pet dander for some time to come. While on the note of clean air, we also recommend moving your spring cleaning. If you leave the cleaning until later in the season, allergens will make their way into the home as soon as you open the windows to let your house breathe. For example, pollen is a big one in spring and an issue that will cause havoc for many. Purchasing a HEPA air purifier and changing the filter frequently can help reduce airborne indoor allergens and help you breathe easier. With the air as clean as possible, the next area to target should be your bedroom because this should be your haven from the world. As well as cleaning your bedsheets regularly, you should also keep pets away from your bedroom and invest in dust-proof pillows and mattress. Since dust mites feed on the dead skin cells found within the bed sheets, cleaning them in hot water is important to kill them off and ensure your sheets are free from dust mites at all times. If you have a high pile or shaggy carpet, this is the perfect breeding ground for dust mites so a weekly vacuum is essential. If you have pets, make this more frequent and this will keep your carpet as clean as possible. Every 12 to 18 months, we also recommend a professional steam as this will pull all deep-rooted stains and dust. Since the flooring covers the whole house, this is important for removing allergens and staying healthy in your home. Often, we tend to build piles of what can only be described as ‘stuff’ around the home. Whether it’s magazines, paper, or clothing, they end up being forgotten and it creates a safe home for cockroaches. Over time, they’ll shed body parts, leave feces, and drop saliva all over the place and this will be awful for those with allergies and asthma. While on the topic of cockroaches, you’ll need to keep an eye on your appliances to ensure all food debris is cleaned every so often. In your oven, microwave, toaster, and other appliances, the best way to remove the threat of cockroaches is to keep their food source to a minimum. Sure, you wash all bedding once it gets pulled from your bed but how long does it stay in the linen closet after being washed? If you have three or four sets of linen on rotation, dust mites will build by the time you come to use the set and this can be dangerous. If you have sets that don’t even make their way out of the closet, they’ll be a hive of activity for dust mites which immediately taints everything else nearby. To prevent this, we highly recommend cleaning all linen with hot water even if (or especially if) it hasn’t been used for a while. Finally, we recommend investing in a small humidity monitor because mold and mildew thrive in humid areas. If you can keep an eye on the most humid areas within the home, you should be able to prevent the growth of mold thus also preventing issues for those with allergies and asthma. Let’s not forget, mold can affect the respiratory system of even healthy people so it’s always best to keep your home free from the problem! This entry was posted by Social Media Team on November 1, 2017 at 11:00 am, and is filed under Allergies, Ear Neck Throat. Follow any responses to this post through RSS 2.0.You can leave a response or trackback from your own site.